Classic Gates Engineering was established in 1986. We've built our business on a reputation of quality, service and a pride in our workmenship. 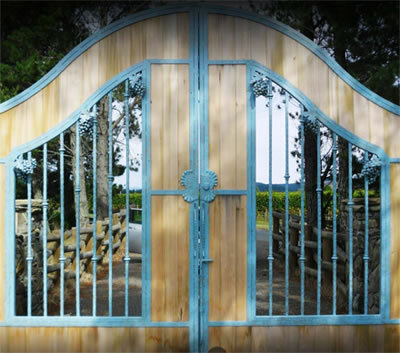 Classic Gates have become the perferred supplier to hundreds of satisfied customers. In 1995 we established two subsidiaries, Marlborough Powdercoating and Riverlands sandblasting. This enables us to be a one stop shop to manufacture and apply various finishes to our wide range of products. Our Products include, wrought iron gates, fencing, pool fencing, balustrades, furniture, garden products, structural steelwork, galvanised lintels, roading grates, skip bins, specialized trailers, vehicle towbars and bull bars, bridge railing, fireguards. Our Sandblasting branch offers a wide range of preparations and finishes for small one off items to larger jobs such as structural steel, truck and trailers etc, and of course our own products. Our Powdercoating branch is located on the same property as Classic Gates, we carry a wide range of colours in stock including all the colour steel roofing and aluminium joinery coating's. We powdercoat a wide range of products including all our products, aluminium joinery, guttering, brackets, car and motorcycle parts, anything from one offs to production runs.